Walk into any baby shop and you’re immediately overwhelmed with about 20,000 MUST BUY items for your new baby. 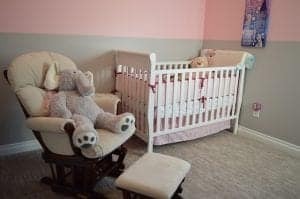 It’s easy to get sucked into believing you need everything you see and spending hundreds of pounds on baby items which, let’s face it, you might never even use. I once saw a lovely buggy in Mothercare, looked at the price tag and it cost more than my first car! 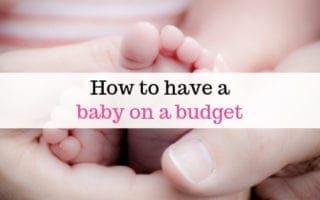 The baby market is huge and preys on us vulnerable parents (especially first timers) who just want to make sure they get the best for their bundle of joy. 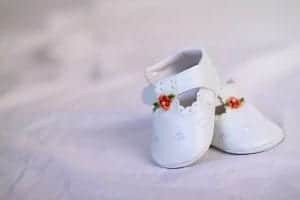 Despite the adverts that would have you believe otherwise, there are, actually, plenty of things that you can get away without buying for your baby. I mean, did you know you can buy a wipe warmer so your baby doesn’t have to have their bum touched with a cold wipe?! Who knew? It’s worth thinking properly about whether you actually need it and will use it. If not, save yourself the money. If you are on a tight budget, you can manage without buying a lot of things. Here are 10 things that (in my opinion) you don’t need to buy for a baby, especially if money is tight. These are bulky and don’t last very long because babies grow quickly. You can just use your sink or your normal bath instead. We were given one when we had our first, and only used it a handful of times, as soon as they start splashing you just end up with water everywhere anyway. Easier to just lay them with a little water in your bath then they can kick freely. You could pay out for one of these or just use a mug and some hot water, still gets the job done! A whole new piece of furniture just so you can change your babies bum? Just stick a changing mat on top of your drawers or on the floor. Job done. You might think you’ll head up to the nursery every single time your baby needs changing, but in reality you’ll just do it wherever is quick and convenient. You don’t need a special bin just to put your babies nappies in. One, they’re expensive. Two, you have to pay for refills of special nappy bags. Stick em in your outside bin or bag them up and take out your rubbish each day. You can get a pack of 300 nappy sacks for about 30p from the supermarket. There are some oh-so-adorable crib bedding sets you can buy, but let me tell you a secret. You will probably NEVER use them. A 5 second google will ensure you never want your baby anywhere near a cot bumper, the super cute quilt will end up thrown over the back of a chair and the sheet – well actually you’ll probably use the sheet. But you can buy those for a fraction of the cost. I do love baby sleeping bags though for when they’re big enough – you can get some really cute ones and they give peace of mind about baby staying the right temperature and you don’t have to faff with thinking out how many blankets to use etc. An audio monitor will do the job just fine. And actually if you have a small house you might not even need that. My baby is so loud and I’m so close that I haven’t even needed a monitor this time round. I’m more worried about whether she’s woken up the neighbours 10 blocks away than if I’ve slept through her calling for me. Even if you don’t buy these you’ll probably end up with them, they seem to turn up everywhere. They just fall off and get lost. Forgo the mittens and get some sleep suits with built in scratch mitts. They can be so expensive, and honestly, I really don’t think a high chair is something you really need to go all out on. I can’t think of any reason you’d want to lie a baby back in a highchair, so you don’t need a recline function. They eat in them, then you take them out. They get stupidly messy and if it’s fabric it’s difficult to clean. We had a fancy one with our first baby that reclined to so many settings (never used them), had a basket underneath (never used it) and was made of padded fabric (absolute nightmare to clean). Now we have the plastic Ikea Antilop high chair and it is honestly the best thing ever. It doesn’t fold up but you use it multiple times a day anyway so fine to leave up, and it’s so easy to use and wipe clean. You don’t even have to go to Ikea to get one, you can order from Amazon with free delivery. Don’t get me wrong, I’m not saying don’t dress your baby! I just mean they don’t need full on outfits. I know baby outfits are super cute! But they’re not always practical. They grow out of them really quickly and you’ll find yourself dressing them in vests and baby-grows anyway just because it’s easier and they’re more comfortable. You might find you’ll be given lots of clothes anyway, especially if you have a baby shower. Another reason for avoiding outfits in the early days is that babies sick and poo A LOT. You’ll inevitably end up having to change their clothes multiple times a day . Nappy explosions will become the norm and Vanish will become your new best friend. Sleep suits are cheaper than outfits and they come in multipacks! Babies can’t walk. They don’t really need shoes. Their little feet grow so quickly that they’ll only be wearing them for 5 minutes before they need the next pair anyway. Little booties or built in feet on their sleep suits will keep their feet nice and warm. When they are big enough to need real shoes, if you can’t afford to go to Clarks and spend £30 on one pair of shoes that will only last a few months, don’t. I know mum guilt dictates that’s what you should do, but seriously, your baby’s feet will not grow turnip shaped if you buy shoes from Asda instead. If you want an good alternative, Mothercare have a first walker range that is significantly less expensive but still designed to support little feet. There are probably people who swear by some of those things and totally love them, and that’s fine! 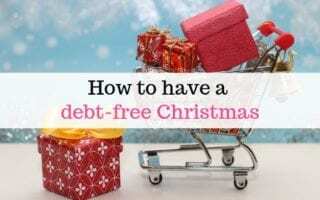 But they are all things I feel are definitely non essential, so if you need to save the pennies – these are things you can totally manage without! Next ArticleCould you live without your TV licence?